Who has summer volleyball fever? K&H does! 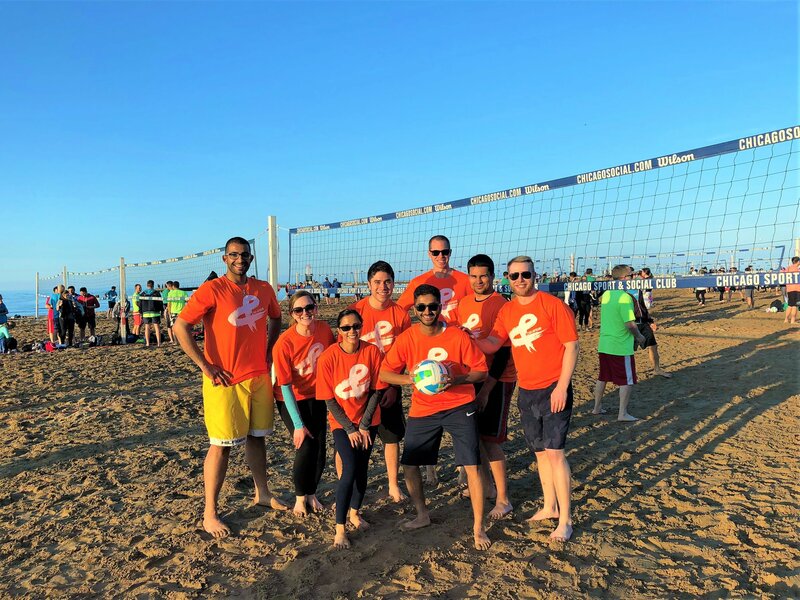 Yesterday was opening day for the Chicago Sport and Social Club (chicagosocial.com) volleyball league hosted on the legendary North Ave. beach. The Ampersand team kicked up the sand and won all T-H-R-E-E rounds of the competition. Congrats to our team winning their first game and keep it up!